Welcome to the List of Flower Names website. We have collected a large list of flower names, photographs and descriptions for you to view. 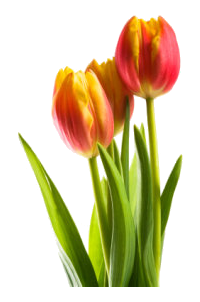 To find the flower that you would like more information on, use either the links on the top menu bar (where flower common names are listed in alphabetic groups), or select from a specific letter by common floral name or botanical name on the lefthand search menu. We hope you find our list of flower names and descriptions useful. Also please have a look at our handy gardening hints located to the right of the top menu. There are many occasions to give flowers, in fact many people would agree that it is always nice to receive flowers even if it is not a special time of year. Special occasions when flowers are given include: weddings, birthdays, Valentine's Day ... actually any day when you want to tell someone special to you how that you love them! Certainly no one will dispute that when we think of a wedding, we think of flowers. Their scent and their color are an almost irreplaceable element of your wedding decor. Whether you select simple arrangements and floral touches, or you go all out, flowers will lend an air to your wedding that no other decoration can quite match. Many brides and grooms select their flowers based purely on color. Some also consider the type of flowers to set a mood. Roses create a far different feeling that wildflower combinations. Some make selections on the bride's favorite flower or because of budget constraints. There is no right or wrong when it comes to flowers, so long as the rules of good taste and common sense are followed. I gave my love a violet. So fair to me as this!" Plucked from the modest casement bars. I know no rose but this!" That sang beneath her finger-tips. But this thou givest me!" I laid a flower upon her breast.